Yes, it is possible and Gmail has enabled this feature. But this is limited to Mobilink numbers only.Also Mobilink users can also reply. Mobilink & Google Pakistan launch Gmail-SMS web service. 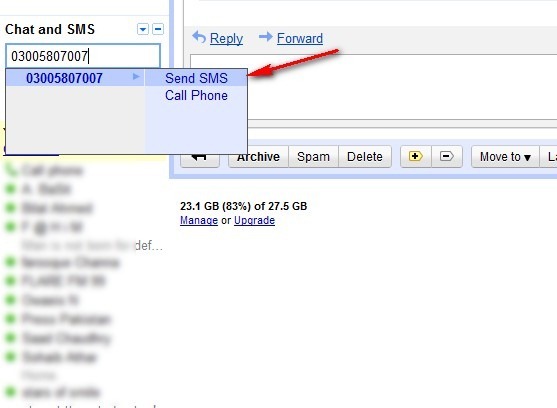 It is a free web-to-SMS service which enables Gmail users to send SMS to any Mobilink subscriber via Gmail web client. Mobilink subscribers can also reply back to that SMS which will appear in Gmail user’s web chat interface.